I am writing to you all as a survivor of domestic violence, someone who witnessed it regularly in childhood. People like me are rarely represented in campaigns against domestic violence, media, policies, or laws, but we exist. Even if the violence is not happening directly to us, we see it, understand that it is not normal, grow sick of it, refuse to accept it, and learn how to protect ourselves. We are called secondhand survivors because domestic violence has threatened and upended our lives, too. Bresha Meadows is both a victim and survivor of this kind of violence. When social workers, teachers, law enforcement officials, and family members failed to help her, she decided that she would help herself. In shooting and killing her father, Bresha decided that she was capable of finding a way to escape an unstable life, even if it meant ending an abuser’s life. 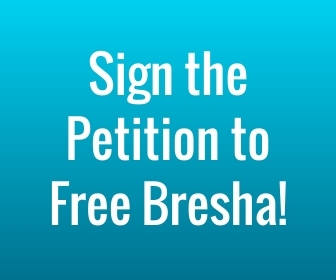 Bresha decided that she, her mother, and her siblings had the right to exist free from terror. It saddens and infuriates me that she is being punished for this. For refusing to accept violence. An institution that is not built to rehabilitate, love, or sustain adults certainly cannot rehabilitate, love, or sustain children. 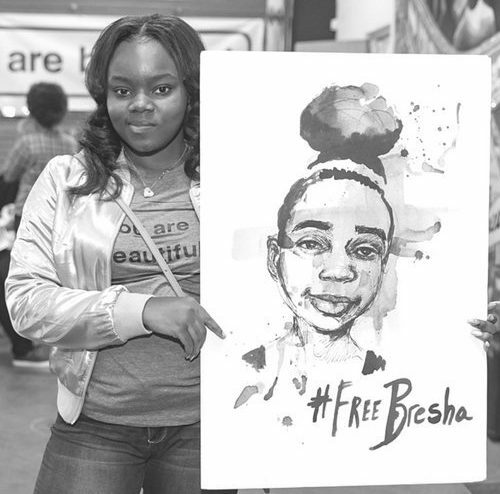 Black girls and young women like Bresha Meadows, Cyntoia Brown (jailed at age 16), and Patreese Johnson (imprisoned at age 20) make up more than a third of young people under state correctional control. Incarceration rates for them are rising, even though it often creates more problems than it solves. They enter and leave the system struggling with racism, sexism, poverty, mental health, trauma, and stress. They are mistreated, malnourished, and dehumanized while imprisoned. They are denied compassion, care, respect, and the chance to make mistakes. When Bresha shot her father, she most likely thought she was ending the abuse. Not preparing for a different kind. Bresha has been navigating violence her entire life. It is time for her to return home to her family. What she needs—love, gentleness, sensitivity, forgiveness, the chance to be an adolescent, and trauma-informed care—cannot be found in prison. Please recognize the severity of incarcerating a 15-year-old Black girl, drop all murder charges against her, and help begin a different journey to reconciliation and healing.